This is a "build to suit" type base station. 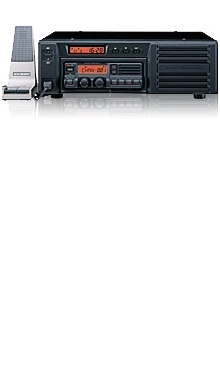 It uses any band of VX-4000, VX-5500 or VX-6000 mobile. So, if you need mid power, high power, UHF or Lowband, we have you covered. Front mounted speaker - The large front mounted speaker makes for clear and loud audio as needed. Date / Time indicator - There is a built in Date / Time clock on the front display. 12 or 24-hour format is available. 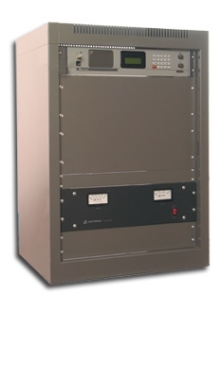 DC Backup - The BSC-5000 has rear connections for a DC backup input. In case you lose primary power, the DC backup battery input will take over. Built in power supply - The BSC-5000 fully contains a 30 Amp DC power supply capable of delivering enough power to run even the 120 W Lowband VX-6000. There is an optional unique desk microphone available as well, MD-11B8J.